As a parent, there isn’t much I don’t worry about when it comes to my child. I want him to grow up strong and healthy. And when something comes along that he’ll enjoy playing with, that will also help him develop properly, I jump at it. We’ve showed you some beautiful wooden toys from Bleebla before. We are really excited by the new Woodla lacing toys from Bleebla as they are a great tool to help your child develop good eye-hand coordination and fine motor skills. 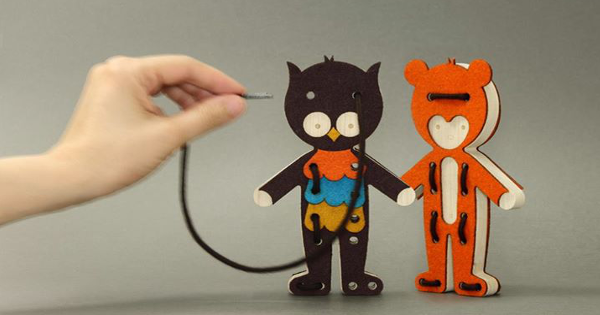 Woodla lacing toys are wooden animals that come with two dressing sets (front and back) and cotton cord. If you have a little fairy tale lover in your house, these will be perfect fit as they are inspired by the world of fables. There is a rabbit and fox, owl, bear, lion and monkey. 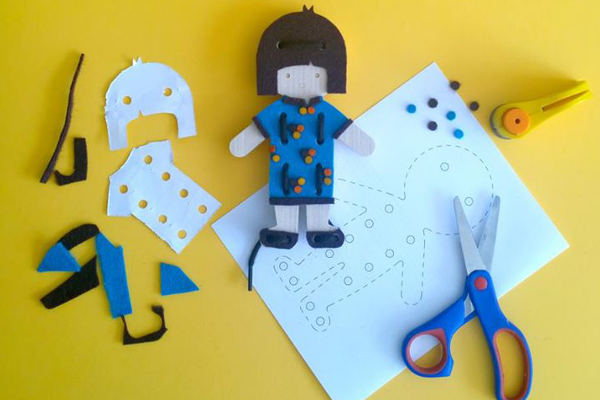 If your child loves a craft project, you can make extra clothes using materials such as felt, cardboard or fabric. With adult supervision, this is a fun toy that helps your child to concentrate and improve their manual dexterity. Woodla lacing toys are made from unfinished European sycamore wood, Portuguese wool and cotton cord. These toys are great as they not only help develop essential developmental skills, they also foster a child’s creative imagination. Playing with Woodla lacing toys is a fun activity that I can do with my child when we want some special time together. You can get your set of Woodla lacing fables with delivery to Australia directly from Bleebla for €28.